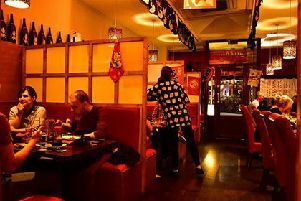 Established in 2009, Sakura claims to be the first Japanese restaurant in Portsmouth. The aim of the restaurant is to bring the taste of true Japanese cuisine to customers. A lot of features from opening night are still present today, with sushi dishes such as eel, octopus and surf clam. Be sure to try the California Maki – sushi rolled with caviar, avocado, cucumber, crab stick and mayonnaise.